The National Database and Registration Authority (Nadra) has denied sharing ‘sensitive information’ with the Pakistan Muslim League-Nawaz, an allegation hurled by the Pakistan Tehreek-e-Insaf against the authority. 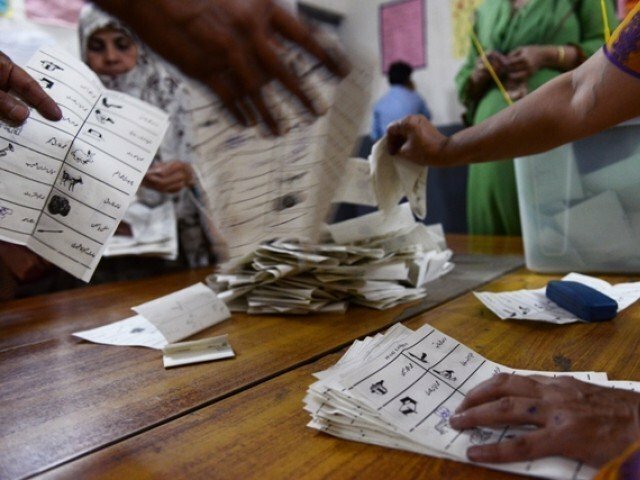 A spokesperson for Nadra, in a statement issued on Sunday, said the allegations of corruption are fabricated and baseless, adding that the authority had a limited role in conducting elections, Radio Pakistan reported. “The organisation is only providing technical assistance to the Election Commission of Pakistan (ECP) in accordance to the law and the Constitution,” said the Nadra spokesperson. “Nadra has not given data to any political party, whatsoever,” he added. The statement came days after the PTI had accused the head of the Nadra of sharing sensitive information with the PML-N in a bid to help it ‘influence’ the coming general elections. The party had demanded that the interim government remove Nadra Chairman Usman Yousuf Mobeen to ensure free and fair elections in the country. PTI Senior Vice-President Babar Awan made the demand while talking to reporters here in Islamabad. “A dangerous plan is in the making,” Awan cautioned when asked about nature of “sensitive information” allegedly shared by chairman Nadra with PML-N. He did not give further details. Upon the expiry of his three-year contract in February 2018, the PML-N government had approved Mobeen’s reappointment as Nadra chairman for the next three years. Being the top database authority of the country, Nadra has access to all information about citizens and plays a key role in the preparation of electoral rolls.